Inspirational Story: The Iron Nun On The Run | JustRunLah! Sister Madonna Buder isn’t your average nun, nor your average 80 year-old lady in your neighbourhood. You would think an ordinary woman in her 80s should be resting and is accompanied by aches and pains and lack of mobility. But Sister Madonna Buder is anything but ordinary. Let her story inspire us to do more than we think we will ever be able to. Sister Buder is known as the “Iron Nun” for being the nun who competes in the grueling Ironman competitions. In fact, she has completed more than 340 triathlons – 45 of them the notoriously grueling ‘Ironmans’ – and she only started running when she was 48. 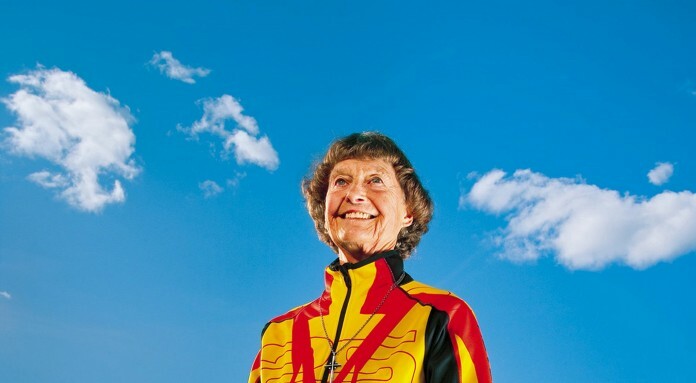 She first broke the record for the oldest woman to finish an Ironman at Ironman Canada in 2012. 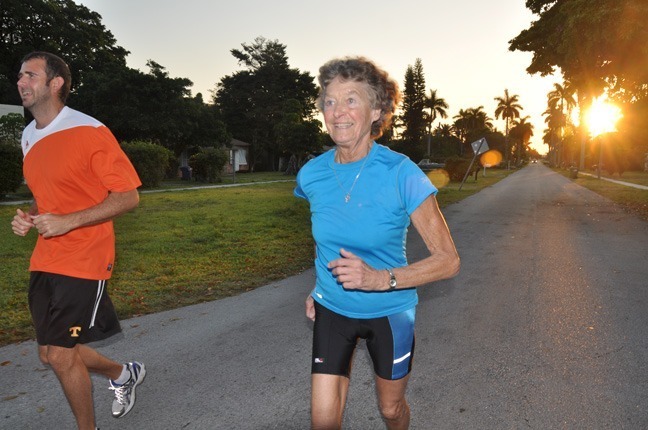 Sister Madonna continues to compete in Ironman competitions despite her age, which forced the Ironman organization to create new age brackets to accommodate her. For two years, Buder had tried to open the 80-plus group for women. 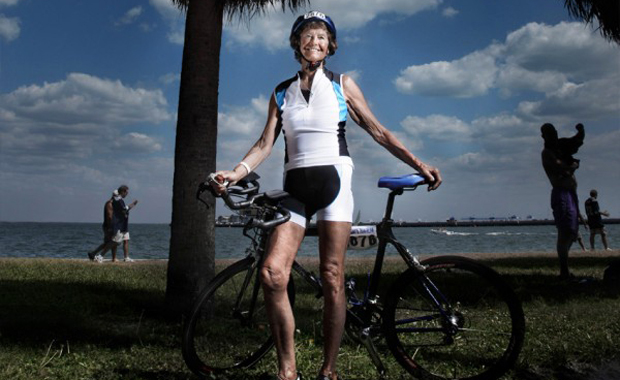 At 82, she became the oldest person to finish the grueling IRONMAN Triathlon and even helped launch new age groups in the sport. But to Sister Madonna Buder, it is not about setting records or getting accolades. 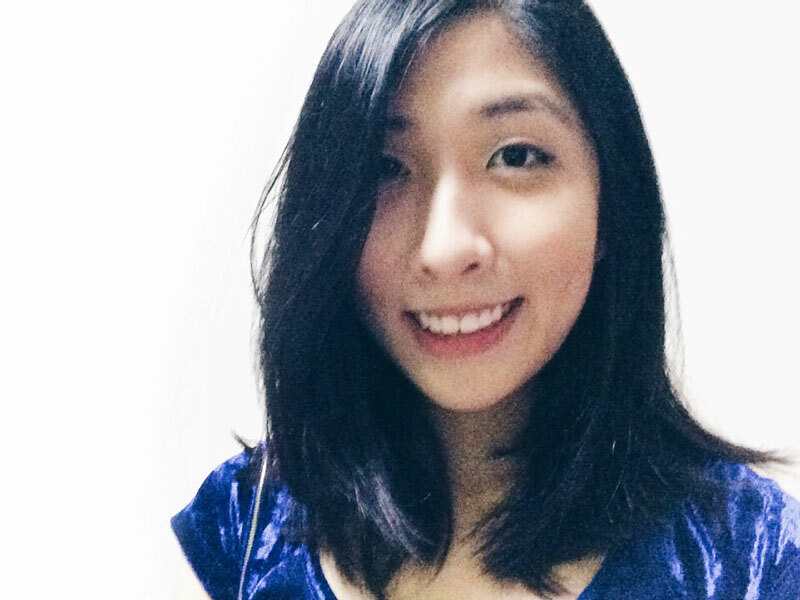 Her real mission is to encourage others to discover and develop their God-given gifts for the benefit of all. She leads by example as the “Iron Nun”, completing feats some of us won’t even consider possible, especially at her age. She trains for her competitions by running to church every day and bikes 40 miles to swim in a lake near her home. She also jogs to her regular visits at the local jail, where she reads scriptures to inmates – an activity which makes her feel ‘so blessed’ to come home from. As for her diet, Sister Buder sticks to a mostly raw diet of fruits and vegetables, but incorporates carbs and protein powder into her meals, and she says she ‘listens’ to what her body tells her it needs. 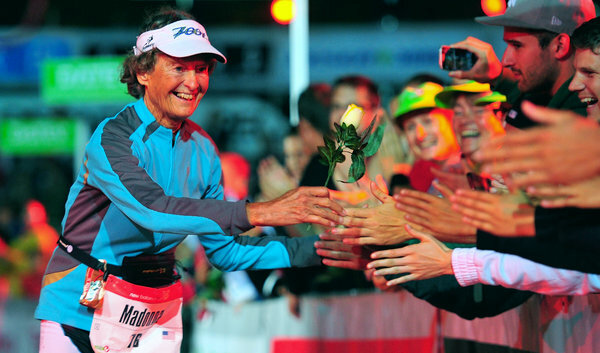 Sister Madonna was inducted into the USA Triathlon Hall of Fame in 2014 and she has had 12 age-group victories at the Ironman World Championships in Kailua-Kona, Hawaii and has won dozens of national and world titles in Olympic-distance events. For someone who had only started running at age 48, and yet competed in various Ironman races, Sister Buder is a living testament that we can accomplish anything as long as we set our mind to it. Her perseverance, positive attitude, and refusal to bend to society’s expectations will continue to be an inspiration for all.